In a seller’s market, it’s easy for a lot of sellers to reach the conclusion that they don’t actually need a real estate agent to offload their homes. After all, there are buyers everywhere, and home prices are skyrocketing; how hard can it really be to just do it yourself and save some money on agent commission? Unfortunately for many of these for-sale-by-owner (FSBO) aspirants, the answer to that question is almost always “much, much harder than you think.” Research shows that FSBO listings take longer to sell, usually sell for less than market value, and require a lot more work from the seller than those sellers anticipate. Plus, seller’s markets don’t last forever — this one appears to be at a plateau, if not an outright downslope — so counting on the market to save you is naive at best and could potentially cost you a lot of money while you re-calibrate your expectations. Why do FSBO listings fail so frequently? Here are 15 reasons they usually don’t work as well as the seller hopes they will. Most of us love the home where we’ve lived for years, and it’s hard to understand why it’s not equally appealing to every buyer who walks through the door. Here’s the thing: Buyers are comparing your house to the pristine, staged listings they’re seeing online and in-person, so if you don’t do the bare minimum to make your house look excellent, it’s going to look — how should we put this? — average, mediocre, less than fabulous. And that’s going to mean lower offers than you could be getting. When working with an agent, most sellers spend a lot of time decluttering their house, removing furniture and storing books, decorations, clothes, and anything else that’s causing overflow on coffee tables, countertops, and inside closets. Interior walls get a fresh coat of paint (and sometimes the exterior of the house gets some paint-related attention, too), and floors get professionally cleaned, especially carpets. Long-neglected repairs that haven’t seemed immediately necessary must be tackled. And most sellers spend a lot of time making sure that the outside of their house screams “curb appeal,” including polishing up the deck, putting new cushions on porch furniture, weeding and mowing the lawn, painting or restaining the fence, resealing the driveway — you name it. Smart sellers sometimes also spend the money upfront to get a full inspection on their home before it goes on the market. This is an extra step, to be sure, but it’s smart to know what an inspector might find and tackle it before any buyers step inside; that way you won’t encounter any nasty surprises during the closing process. FSBO sellers simply don’t know that all of these steps are highly recommended before you list the house, so it’s not their fault for skipping them — but the fact that they do skip these steps results in fewer offers for less money, which is not usually the outcome an FSBO seller is seeking. What makes a good home listing photo? Because a picture is worth a thousand words, it might be worth your time to pull up your favorite listing portal and spend some time looking at the different listings in your neighborhood or city. If it’s like most markets, you’ll probably be able to spot a difference between the listings where an agent has facilitated clean-up and hired a professional photographer to capture the house … and the listings where owners just kind of cleaned up to the best of their ability and then used a smartphone to take the photos. High-quality listings photos get buyers excited to see the house because they can already imagine themselves living there. If the pictures are full of your stuff and your pets (and a close-up of the toilet — why?) then it’s difficult for buyers who are browsing online to picture their life unfolding inside the walls of your house because it is still very clearly yours. And because most buyers in 2018 start their home search online, you’re going to put yourself at a disadvantage if your listing photos are out of focus, full of clutter, and generally don’t make your house look as amazing as it is. There are some FSBO hopefuls who simply put their home up “for sale” on Zillow and then wonder why they’re not generating any interest. Although Zillow is a lot of fun and it does get a lot of traffic, many serious buyers aren’t using it to find their homes because it doesn’t always show the most updated homes for sale or have immediate information available about whether a listed home is under contract, which can be frustrating for buyers who want to move sooner than later. For that reason, most serious buyers are using the local MLS for their home search. It costs money to list your home on the MLS (listing agents will take care of this for you, however), and you’ll need to take the time to fill out a description of your house and make sure you’re including some important information, such as the roofing material and how many parking spaces are available. The MLS or Zillow (and other real estate portals) are far from the only places where potential buyers might find your house. Real estate agents also use Facebook and Instagram to target potential buyers; they might also create a house-specific website for Google to index; and there’s also print advertising, local fliers and announcements, and the old reliable sign in the front yard announcing a home for sale. Most FSBO sellers pick just one or two of these marketing techniques and miss out on a ton of potential buyers as a result. Despite what television ads might have encouraged you to believe, getting a mortgage is truly not as simple as pulling up an app on your phone and answering a few questions. That may get you a pre-qualification, but a pre-qualification and a pre-approval are two very different things — one suggests that a lender might loan a buyer a certain amount of money for a home, while the other states that if the buyer can find a house that meets all the lenders’ criteria within the range of money that the buyer has requested, then the lender will loan them the money they need to purchase the property. If you’ve been through the mortgage loan process yourself in the past decade, then you know how tedious and time-consuming it is. Buyers who are looking at FSBO homes might not be represented by an agent, who can help the buyer get pre-approved for a mortgage, so it’s entirely possible that the buyers who are walking through your house and demanding answers to questions may not be able to afford to buy it at all. One of the many things that a listing agent does for clients is make sure that any buyers who are walking through the house have been pre-approved to buy a house — and could potentially buy your house. If you aren’t asking some tough questions of the buyers who express interest in your house, then it’s possible you’re wasting time on people who can’t actually make an offer. Buying a house is a big deal, and it’s understandable that buyers will want time to walk through the home and see it for themselves, and that they may have plenty of questions about the house that aren’t answered in the listing before they take the time to see it. Some FSBO sellers are under the mistaken impression that homes “just sell themselves” and therefore do not make themselves available to answer those questions or to set up a convenient time to look at the house. If FSBO sellers don’t make answering these questions and setting up showings a priority in their lives, then they’re going to miss out on a big pool of qualified buyers and very likely end up settling for whatever offers they can get. That probably isn’t the outcome they were dreaming of when they decided to FSBO, but it’s the reality when buyers don’t have someone available to help them make a decision about whether they want to see the property and then get themselves in the door. Of course, life happens, and it’s also understandable that some FSBO sellers might make a true effort to get back to buyers when they have questions or want to set up a showing. But if it takes days or even weeks to respond to those buyers, it’s very likely that the most qualified buyers will have moved on with their search by the time the FSBO seller gets around to replying to a message. Buyers are almost always on some kind of timeline around when they need to be in their new house. They may not have a lot of flexibility with that timeline, and “if you snooze, you lose” is absolutely the case for many FSBO sellers who simply don’t have the bandwidth to respond promptly to buyers. Think about the last time you went to buy something specific, whether it was a pair of jeans, a piece of furniture, or a car. Did a salesperson follow you around while you were looking at the stock? And if so, did that make your buying experience more pleasant … or rather less pleasant than you’d hoped? Humans are very much alike in that we don’t appreciate the “hard sell,” and that is especially true when it comes to buying a house. A lot of FSBO buyers want to make sure they’re on hand to attend any showings, and they don’t see what’s wrong with this practice. Wanting to be present to answer questions is admirable, sure — but a buyer isn’t going to enjoy the showing experience if the seller is breathing down their neck the whole time, pointing out attributes that don’t really matter to the buyer and urging them to make a decision quickly. The art of negotiation can take years to master, and there’s no shame in understanding that your skills aren’t quite at the level they could be. But it can really hurt FSBO sellers who may not understand that an offer is just that — an offer — and that they can respond with a counter-offer that negotiates the price, contingencies, or other aspects of the sale that might matter to both sides. On the flip side, FSBO sellers might over-negotiate, insisting on deal details that really don’t matter much in the long run, simply to feel like they got in a “win” over someone else. This tactic is usually apparent to buyers, who will probably decide that they like the house well enough, but they’d rather not deal with someone who appears to be unreasonable or unrealistic. A lot of FSBO sellers get hung up on the agent commission. They feel like paying a percentage of their home sale to an agent is a waste of money, which is why they are interested in an FSBO sale in the first place. But that commission goes to pay two sides of the deal — it doesn’t all belong to the listing agent; typically, half of it is used to pay the buyer’s agent. Buyers tend to work with a buyer’s agent, especially in a hot market when finding a home can be tough. The buyer’s agent will make sure that buyer is pre-qualified, help them locate a house that they love, and facilitate the negotiation, the offer, and all the steps that come in between “under contract” and “closed.” That buyer’s agent rightfully wants to be paid for this work, and when an FSBO seller issues a blanket declaration that they won’t offer any commission at all, then either the buyers have to pay the agent out of their own pockets (when they’re already spending thousands of dollars on a down payment, inspection, and appraisal costs, to name just a few), or opt out of the deal. Most mortgage loans require a thorough home inspection before the lender will sign off on the deal — which makes sense; the lender doesn’t want to back a house that has a major foundation problem, for example, or a house that’s uninsurable for some reason. But a lot of FSBO sellers aren’t sure what to do or what their responsibility might be if the inspection uncovers a minor or major issue. One big question that FSBO sellers have about inspections after the fact is, “Who’s going to pay for the repairs?” Well, if the FSBO seller wasn’t a great negotiator (see above), then that seller could be on the hook for all of the repairs, or the buyer will be able to walk away with no repercussions and start their home search again. An FSBO seller might not think that’s fair, but these are things that get hashed out at the contract stage, and if those sellers were intent on just getting the contract signed, there’s a lot they might have missed. Every state has different rules and regulations around home sales. Many FSBO sellers have a job outside of real estate or real estate law, so they can be forgiven for not understanding different contingencies or legal issues that could arise. But that lack of understanding can become a huge pain later on if the buyer uncovers something that should have been addressed. Maybe you made an addition or improvement to the house and forgot to secure a permit — or maybe the appraiser finds that the price you’ve asked for the house is above market value, to name just a couple of potential problems. A listing agent can handle those problems for sellers, but FSBO sellers are on their own and might have a failed deal on their hands as a result. Pricing a home might seem easy; after all, there are internet tools available now where you can look up your address and have an algorithm tell you how much the house is worth. Surely that’s good enough? Unfortunately, it’s not. Those algorithms are relatively new, and they don’t take the condition of your home into account — whether you’ve made significant upgrades or whether your house is actually not quite as fancy inside and out as the rest of the homes on your block. And even if your price is right on the nose for the market, most buyers are going to submit offers under asking price because they know you aren’t paying an agent commission, so why shouldn’t they get a cut of those savings, too? There are a lot of things that need to be done in between accepting an offer and handing over the keys to the buyers, including the appraisal and inspection, plus any required repairs, and not to mention packing up and moving all your stuff so the buyer can move in (assuming you already have a new place to live). The buyer will likely need a title review, too, and might have questions about any easements or the property lines, which the seller is going to have to answer promptly in order to stay on schedule — and because the transaction schedule is part and parcel of the contract itself, any deviations or delays might enable the seller to walk away entirely. Most sellers don’t have the bandwidth to handle all the details on their own, and it’s easy to start feeling overwhelmed by the closing process even if the sale itself seemed to happen relatively easily. But neglecting any of the many small (and large) requirements can mean that the house goes back on the market and that the seller just lost the biggest, best offer they were going to get. All-cash investor buyers are active in every market, and many of them know that FSBO sellers aren’t as experienced as a listing agent … so they see an FSBO sale as a great opportunity to negotiate a sale to their benefit. 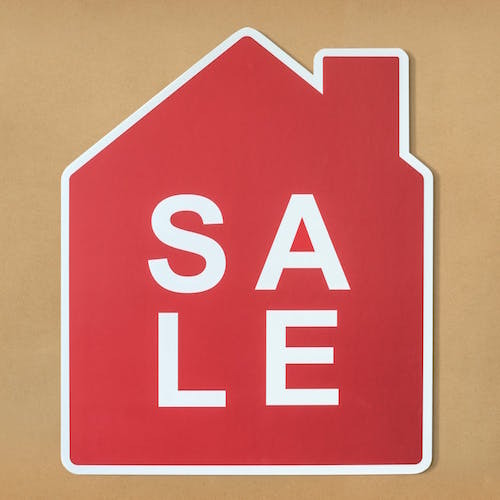 And FSBO sellers might not even realize that they’re getting a lowball offer, especially if the home has been lingering on the market for a while and they haven’t had any professional help with pricing — all-cash usually means that the buyer can forgo an inspection and appraisal, which the seller might see as a big advantage. These factors taken as a whole tend to add up to FSBO homes lingering on the market for longer than average. The pool of potential qualified buyers is smaller; deals may have already fallen through; and the lack of marketing means that FSBO homes aren’t getting the same attention in early days of listing as homes presented by a listing agent. The truth is that the longer a home is on the market, the more likely that the seller will have to reduce the price and make concessions before it finally sells — and the longer it’s on the market, the more buyers will ask themselves “I wonder what’s wrong with this place?” and insist on more inspection and appraisal contingencies than they might otherwise, simply because the home’s longevity on the market makes them nervous. Selling a home FSBO is every seller’s prerogative, of course — but many of them don’t realize just how much a listing agent (and a buyer’s agent) does in order to earn that commission. And by the time they figure out that a percentage of the total sale is well worth what they get in return (and will probably even net them a higher sales price), it’s too late to hire an agent to help them get the very best value for their home.